Saturday Mom went on a shopping trip with her girlfriends to an outlet mall a few hours away. That left me to take care of the kids (insert scary voice here) "all by myself". I went into it thinking the worst and ended up getting the best. Alyce and Luke were both in a great mood all morning. Luke ate his breakfast with a grin on his face and behaved himself up until nap time. When it came time for his nap instead of making a fuss Luke just snuggled into my arms before I put him to bed. 2 hours later he was awake and the three of us went out to lunch at McDonald's. 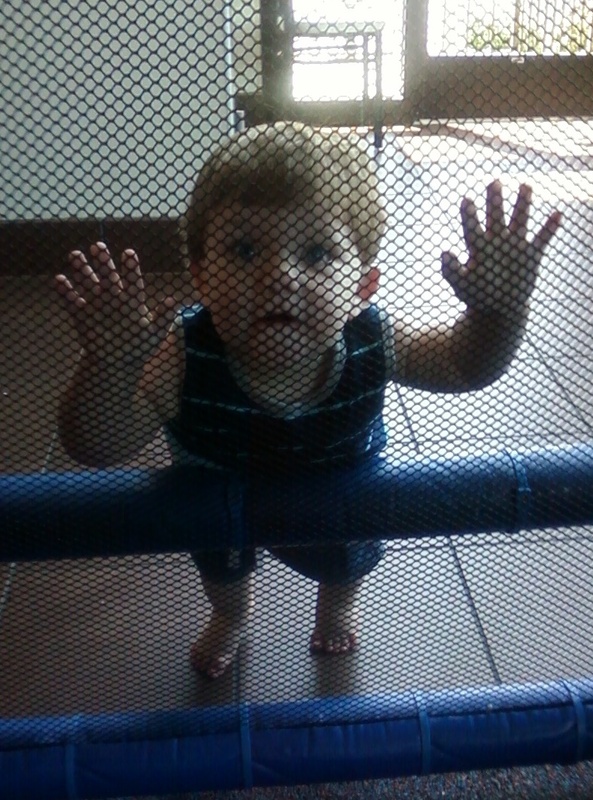 The one near our house has a 2 story play land, air conditioning, and by the time we got there was almost empty. Luke ate an entire hamburger patty, the bottom bun, some apples, and milk for lunch. With a full belly it was time for the play land. 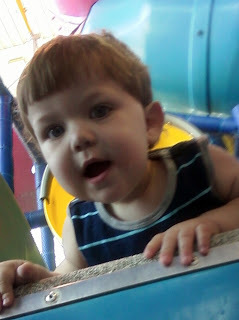 Luke obviously is too small to be going up the slides or on any part of the play land but he did enjoy himself. 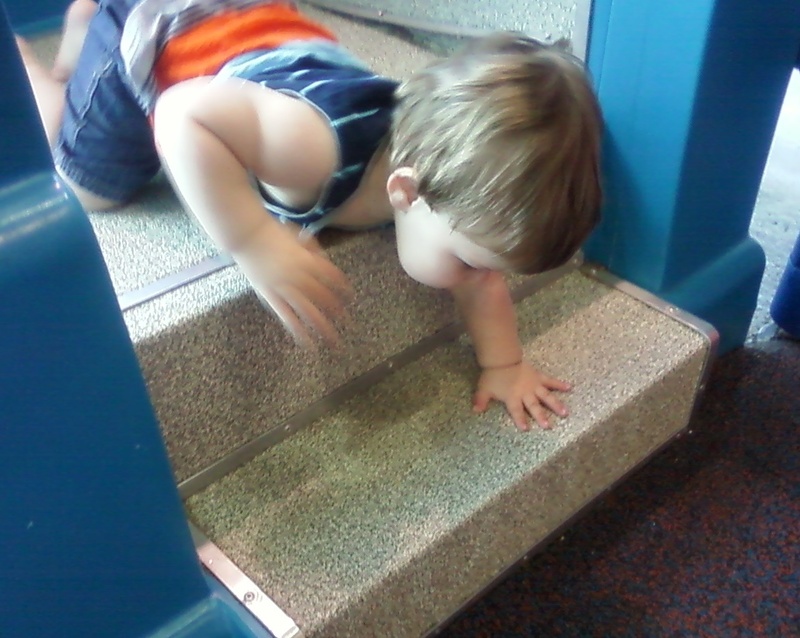 He was busy running around on the padded floor and testing the two stairs leading up to the tunnels for the slide. Luke practiced going up and down the stairs on his hands and knees face first, both ways. He can go up stairs just fine, but down is another story so this was a good time to practice. When it was finally time to go he had mastered going down two stairs. His method wasn't pretty and I wouldn't let him try it on the stairs in our house, but it was effective. As the afternoon turned to evening Luke was showing his lack of a second nap and it was time to get him home to bed. Luke didn't even make a sound as I laid him down in his crib. I am a very lucky dad to have such great kids. Having them for a whole day was a treat. Usually when I get the both of them it is at the end of the day where one or both of them is already overtired and can quickly get on your nerves. The all day affair granted me the opportunity to see what Mom goes through on a daily basis and I don't know if I could do it.